LANCER Apartments and town homes are located in a residential neighborhood on Lancer Boulevard and Willow Street in La Crescent, Minnesota only 3 miles from La Crosse, Wisconsin and 4 miles from Onalaska, Wisconsin. 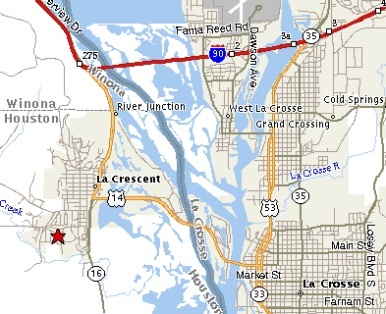 Map showing La Crescent, La Crosse, Onalaska and Interstate 90. 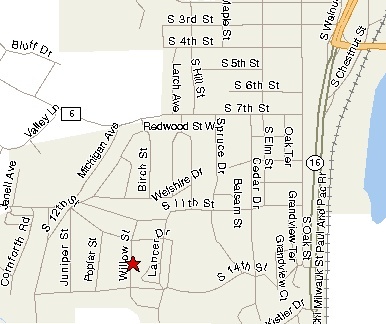 Detail map showing Willow and Lancer Street in La Crescent. Turn slight left onto US-61 S/US-14 E.
US-61 S/US-14 E becomes MN-16 W.